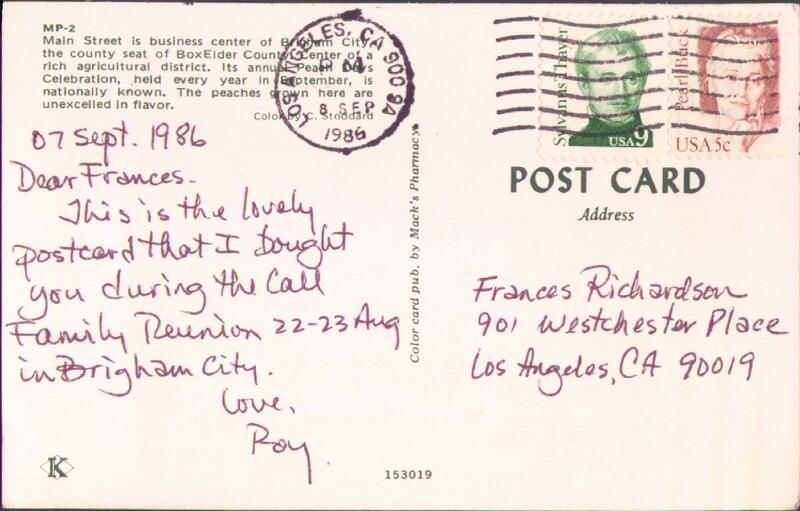 This is the lovely postcard that I bought you during the Call Family Reunion 22-23 Aug in Brigham City. Main Street is business center of Brigham City, the county seat of BoxElder County. Center of a rich agricultural district. Its annual Peach Days Celebration, held every year in September, is nationally known. The peaches grown here are unexcelled in flavor. A little odd that my father went to the Call reunion but my mother (related to the Calls by blood) didn't. 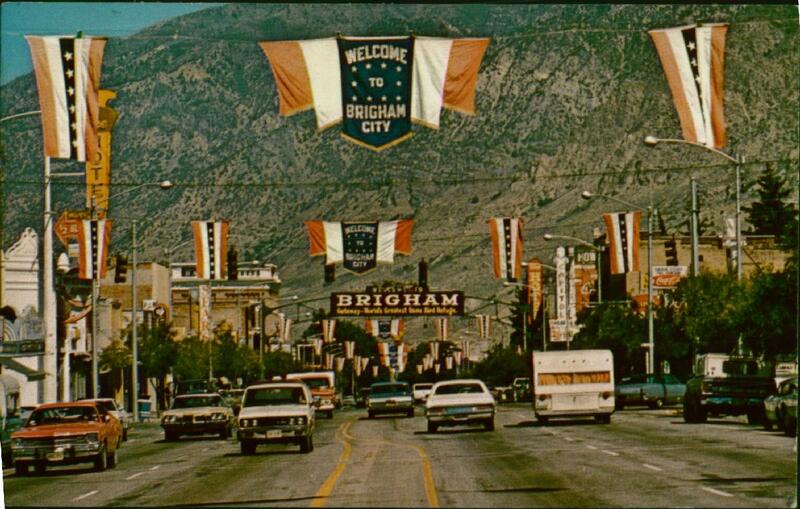 The sign on the front says "Welcome to Brigham. Gateway - World's Greatest Game Bird Refuge." There's still a sign there but it now says "Wild Bird Refuge." I guess people were shooting the birds.